Developer Grinding Gear Games announced today that it has locked down the dates surrounding Path of Exile’s upcoming, but currently unannounced, expansion. The free-to-play ARPG’s next expansion will be announced in just a bit over a week, on Feb. 19. On PC, Grinding Gear Games expects it to drop on Mar. 8, followed by the Xbox One release on Mar. 11. In PS4’s case, the situation is a bit trickier. Path of Exile was supposed to launch on PS4 back in December, with the release of the currently active Betrayal league, but ended up being delayed to early February. While “early” February has almost passed, and no further details have since been given in regards to the PS4 launch, the developer said that mid-March is a likely release window for Path of Exile’s upcoming expansion on Sony’s console. The PlayStation Store also lists Path of Exile as a February release. To anyone unaware, Path of Exile resets progress every time a new league is introduced, while replacing the last league’s mechanics with new ones altogether. Aside from the fresh start and refreshed economy that all players opting to play in leagues are subject to, they’ll also have to deal with new challenges in order to obtain those coveted items. Path of Exile’s Betrayal league, which remains active until March, features a Shadow of Mordor-esque chain of command, where players murder and manipulate members of the Immortal Syndicate in order to discover the identity of its leader and gain all manner of shiny loot in the process. Past leagues have included ground fractures that spawned monsters, or ventures through time in order to explore ancient temples. It’s also worth noting that some of the more popular past mechanics have since been integrated as stable parts of Path of Exile’s gameplay. 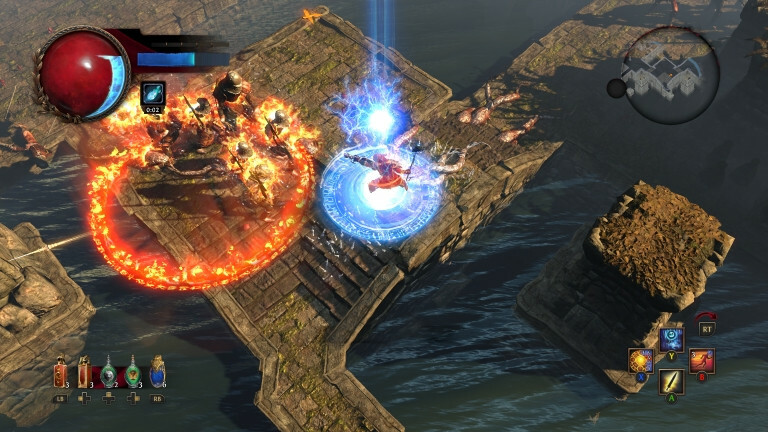 Path of Exile is free-to-play and can be downloaded from its website, Steam or console stores. Wanna buy cheap PoE Currency? Just check games gold from M8X.COM to save more now.